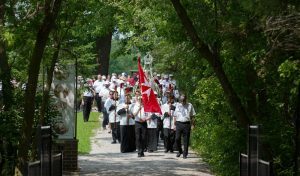 The American Association travels to Wisconsin each summer on a Pilgrimage to the National Shrine of Our Lady of Good Help in Champion, Wisconsin. The Shrine of Our Lady of Good Help is the site of the only Marian apparition in the United States approved by the Catholic Church. Approval for the Shrine and its Chapel was received on December 8, 2010 from Bishop David Ricken of the Diocese of Green Bay, a Conventual Chaplain in the Order and our chaplain in the new Green Bay Area. Pilgrims also visit the National Shrine of Saint Joseph, originally established in 1888, located in the oratory of Old St. Joseph Church on the St. Norbert College campus in De Pere, Wisconsin. Several hundred Knights, Dames, Clergy, Special Pilgrims, medical personnel, and volunteers spend 4 days in Wisconsin where they join together for daily Masses, Adoration, the Anointing of the Sick, a Healing Service, and insightful presentations on the Blessed Mother. Pilgrims also have the opportunity to participate in the Rosary Procession, the Stations of the Cross, and the Sacrament of Reconciliation. In France, we call our sick pilgrims “Malades”; in Wisconsin, they are called “Special Pilgrims”. 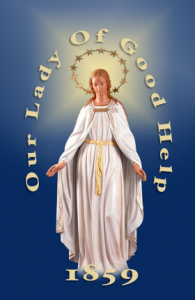 The Pilgrimage to the Shrine of Our Lady of Good Help has been approved to meet the requirements for attendance at a Marian Pilgrimage during the year of formation or in the first three years of membership, in lieu of going to Lourdes. If you have never been to Lourdes, this is a unique opportunity to share in the experience of a Marian Shrine pilgrimage, accompanying Special Pilgrims to this holy place. If you have been to Lourdes, this Pilgrimage will provide you with a very different setting in which to encounter the Blessed Mother. 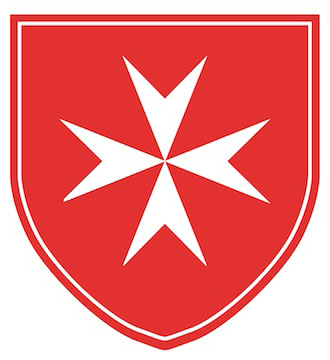 Registration for the 2019 Pilgrimage to Wisconsin will open online to all members, Auxiliary members, Year of Formation Candidates, and their families on Thursday, February 21, 2019.